I'm going to share the specs and some pictures of this system first. At some point in the future, I'll share more details of the system and the process of building it, as well as other pictures. It's probably not necessary to blur the serial number, but I did it anyway. I'll say a few things about this system. 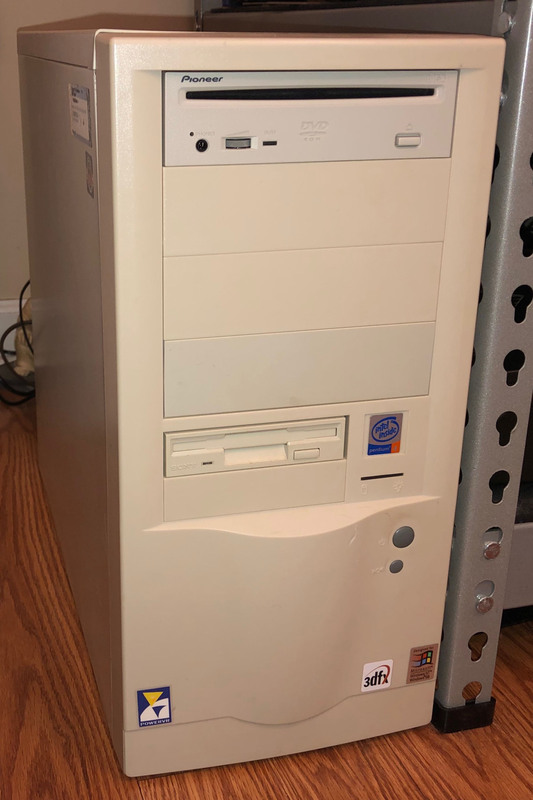 First, my main goal with this system was to build a PC that can play the majority of Windows games from the late 90s and earlier. That era was my goal, because my modern system can play almost any game newer than that. I also wanted to have native Glide support, because I've always been a fan of Voodoo graphics, and because I already had this Voodoo 3 3000 (I bought it new, years ago). 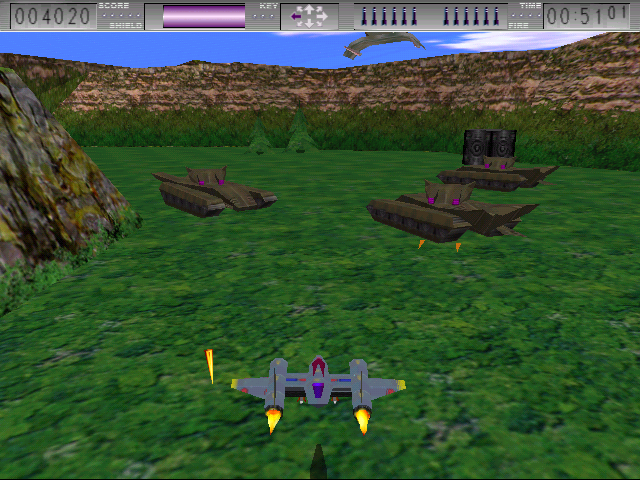 Secondary goals for the system that I eventually achieved: ability to play DOS games, and PowerVR support. 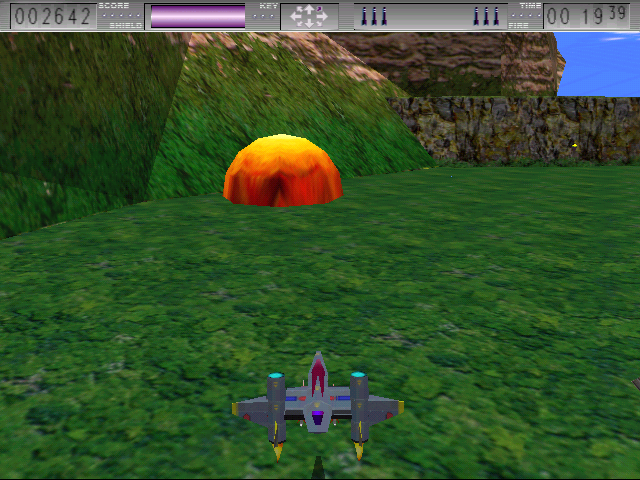 Here's a list of some of the kinds of games it can play: most late 90s and earlier Windows and DOS games with 3D acceleration, with support for these APIs: Glide, PowerSGL, OpenGL, and DirectX. Also, most Windows and DOS games (with sound) in general from the late 90s and earlier. The system is also powerful enough to play some games from the early 2000s. Like I said, I'll share more in the future, though I can't say exactly when that will be. Last edited by GordonFreeman on 2019-2-21 @ 12:52, edited 3 times in total. Cool system! Wish I still had my m3D box, the artwork is such a cheesy product of its time, but I love it for that. I've been hanging onto an Asus P4S333 in case I need to run my V3 in a faster system. Curious how the PowerVR scales on yours. How badly does it bottleneck? xjas wrote: Cool system! 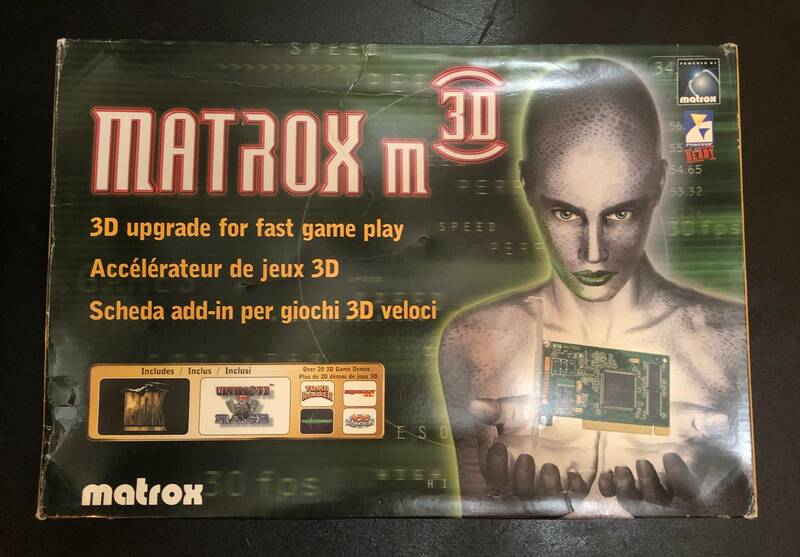 Wish I still had my m3D box, the artwork is such a cheesy product of its time, but I love it for that. Yeah, I like it. It reminds me of a lot of other stuff from the 90s. This one is the European version, I think. xjas wrote: I've been hanging onto an Asus P4S333 in case I need to run my V3 in a faster system. Curious how the PowerVR scales on yours. How badly does it bottleneck? The m3D is definitely the bottleneck. I'd say it performs about average compared to what I've heard about it. Some games have a bit of slowdown, like Tomb Raider for example, but not too bad. 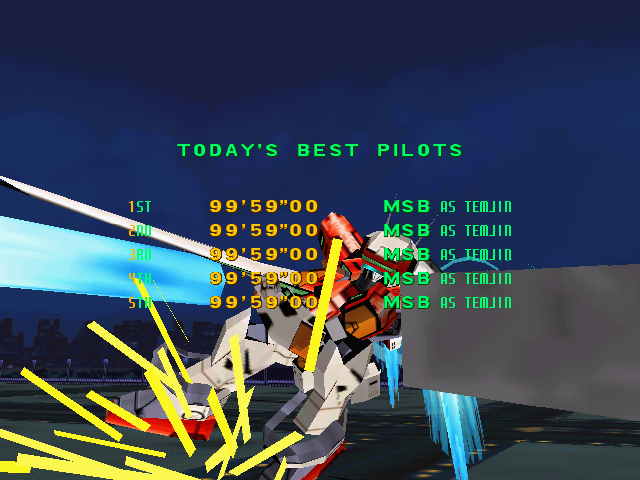 Some games actually perform somewhat better than what I've heard; like Virtual On, though I'm not sure why that is. Ultim@te Race also seems to run better than expected. I'd say the P4 doesn't do any harm as far as performance, and it may improve the performance in some games - though I'm not sure. As to the Voodoo 3, almost everything I've tried runs really well. Yeah, it's one of the 2 CDs that were included. I haven't tried it yet. It's actually "MDK Mission Laguna Beach", but I don't know what that means. It's been a while since I've played any version of MDK. Nice system! Is the Voodoo 3 a bottleneck in any way? DankEngihn wrote: Nice system! Is the Voodoo 3 a bottleneck in any way? Not really, for the games that I want to play. It’s a pretty nice card overall. Oh the PowerVR does benefit a lot from the P4. Unreal's silky smooth at 400x300 (with lightmaps) and with new enough drivers to allow the optimized path. I don't know. It seems to run fine - not as good as the Voodoo 3, but I expected that, since it's an older and less powerful card. I'm having a problem with this system currently. I mentioned it in the other thread about this system. Explorer is giving me an "illegal operation" error. I tried reinstalling Win98 (over the existing installation), which did nothing. I also tried running a memory test, which it passed. So, now I'm thinking what I thought when I first started having this problem, which is that it's either some part of the current 98 installation or the HDD is dying. The latter seems more likely, since I've noticed it making weird sounds - though whether the sounds are actually indicative of a problem or not, I can't tell. I'm probably going to get another IDE HDD some time soon for this purpose; I know somewhere I might be able to find one. I have an 80GB one sitting around somewhere, but I'm not sure if that one works properly, since I haven't really taken good care of it. Anyway, it can't hurt to have an extra drive. One strange thing about the error; whatever's wrong with the system, it doesn't seem to affect games at all. I've played quite a few games since it started having this problem, and I haven't encountered any problems so far in any of the games. It seems to exclusively affect Explorer, and only when certain specific things happen. To leileilol: I got your message, but I can't respond to it, I guess because I haven't been here long enough. GordonFreeman wrote: It's probably not necessary to blur the serial number, but I did it anyway. That was a very smart move. Beware of those damn serial number thieves! This is serial business - Al Gore approved. blurks wrote: That was a very smart move. Beware of those damn serial number thieves! Well, if I didn't blur it, then the m3D could be possessed by demons. Everyone knows that. By the way, I'm still planning on posting more stuff about this system, but I want to try to get everything fully working first - so I can explain the entire process. The system is essentially working currently, but it still has this problem I'm trying to figure out. So, I managed to solve the "illegal operation" error, though I still don't know what caused it. The solution was to install Windows Me. Once I did that, it stopped showing the error entirely. Everything else still works; all of the drivers seem to be working properly, and all of the games I've tried so far work fine. DOS games are also working, as is SB16 emulation. I was told that installing Windows Me might improve the performance of SGL games. As far as I can tell, it doesn't do that, but the performance wasn't bad to begin with, so that's not a big deal. It does eliminate this problem I've been having, so that's pretty cool. As far as why it has the problem in 98 SE but not in Win Me, I don't know. Maybe it has to do with how the OSes deal with the CPU? Anyway, everything seems to be working, and I'm pretty happy with that. I want to do more testing, but I'm already convinced that it's totally working now. Also, I wasn't able to install Windows Me from Windows. I had to load the installer from DOS using the Win 98 boot floppy. So, now that that's done, soon I'll be adding some more details as well as more pictures of things like my monitor (LaCie Electron 22 Blue IV CRT) other hardware boxes, and possibly other hardware I use with the system. I installed a Hitachi 250GB HDD, so I've added that to my original post. 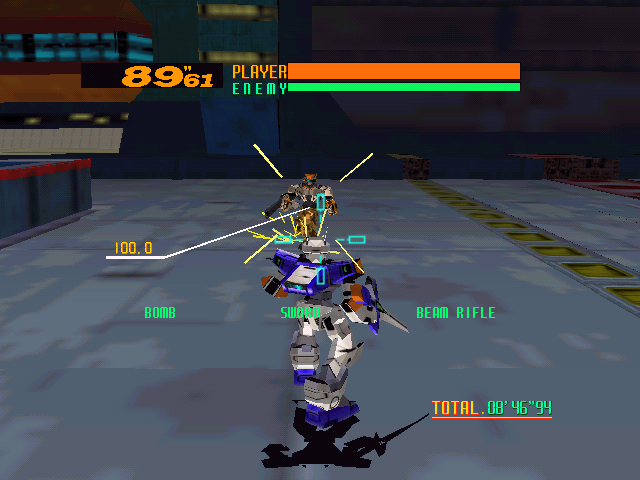 Here are some screenshots of games I've been playing with the m3D. An interesting thing I've noticed about the m3D is that some games run much better than others, even though they seem more graphically demanding. 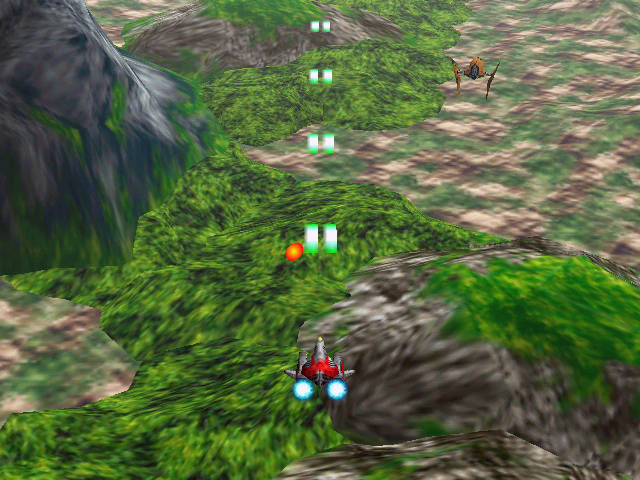 For example, the Virtuality KK games like PureVex, ReVolte, and Moon Racer run much better than Tomb Raider or Virtual On, even though those games have simpler graphics. I wonder why that is. Are Virtuality's games just better optimized? 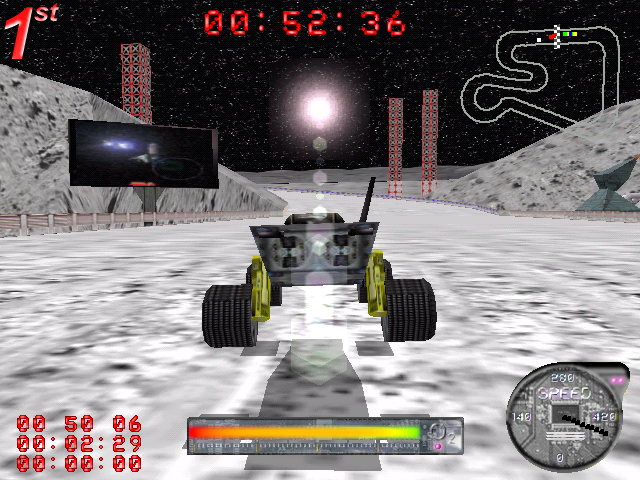 Here's a question: PureVex, ReVolte, and Moon Racer only support PowerSGL, isn't that right? It's hard to tell without removing the card. In this video you'll see both of my PCs including this one, as well as consoles, monitors, sound equipment, games, etc. I made this video a while ago, so some things have changed, but not really that much. It's a LaCie Electron 22 Blue IV. It's a 22" CRT flat-screen monitor. It can do up to 2048 x 1536, and it has very good picture quality. It's a rebranded Mitsubishi Diamondtron Pro; Diamondtron was Mitsubishi's version of the Trinitron. It was manufactured in 2004. It's definitely the best CRT computer monitor I've ever owned or seen, although I used to have a Dell (Sony) monitor that was similar to this one; still, I think the LaCie is better overall. 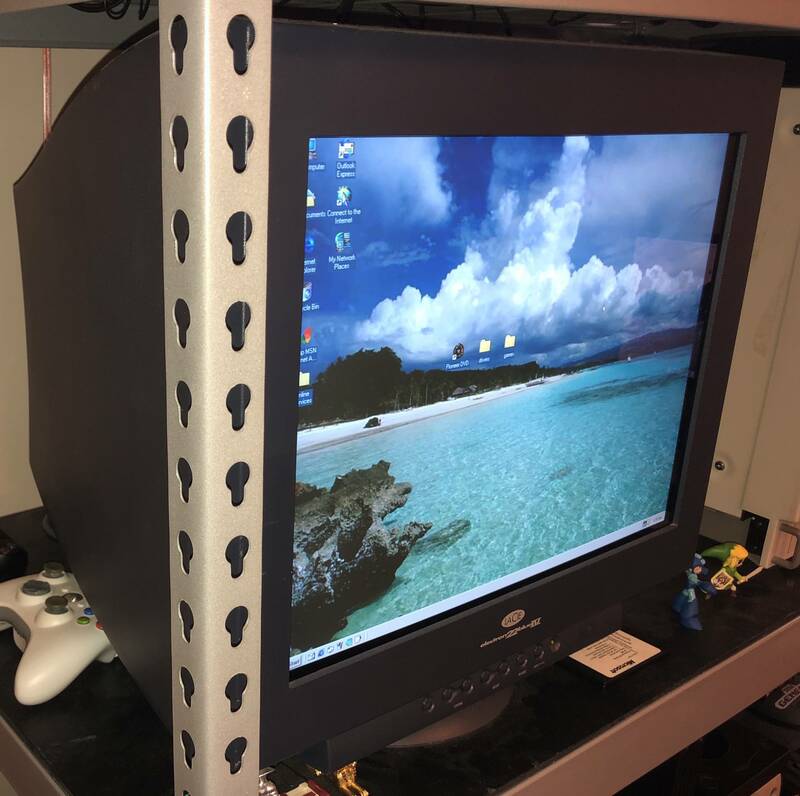 In addition to the P4 system, I use this monitor for game consoles like the Dreamcast, Gamecube, and Xbox (for the GC and Xbox, I use a component to VGA converter). By the way, I'm now informally referring to the PC as Hybrid System. Last edited by GordonFreeman on 2019-3-02 @ 01:37, edited 1 time in total. 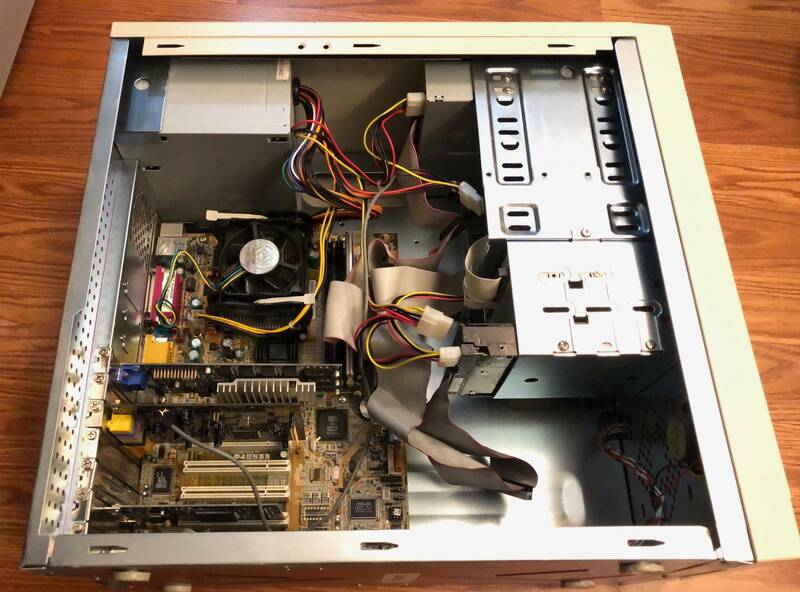 "Native Resolution 2048 x 1536 at 86 Hz"
"Horizontal Refresh Rate 140 kHz"
"Vertical Refresh Rate 160 Hz"
With WIndows ME, I ended up going with it on my Socket A build too, as running 98 would cause it to either hardlock or reset the machine, no matter the combination of hardware I used. 98 seems to become more picky with CPUs and motherboards the newer you go in my experience. Yeah, most of the displays in my room (the computer and game room) are high-end monitors of one kind or another. The one exception is my TV, which is just a consumer LCD — it is a nice TV, though. Here's something I just found today. 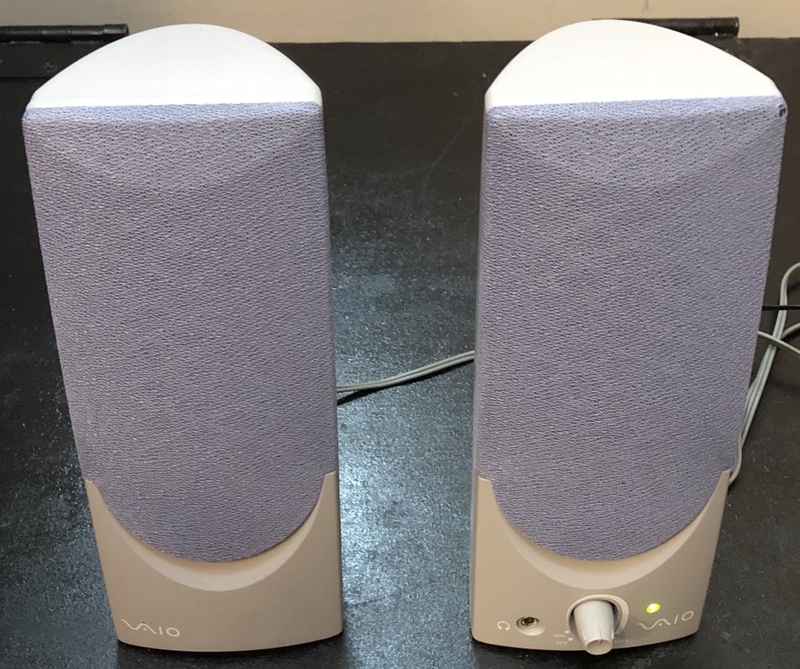 Sony Vaio computer speakers. I got them really cheap. They actually don't sound bad, considering how small and light they are. I probably won't be using these right away, but I got them because I will probably have a use for them in the future. About my PC: I'm still having some problems, but I think I know what to do now. 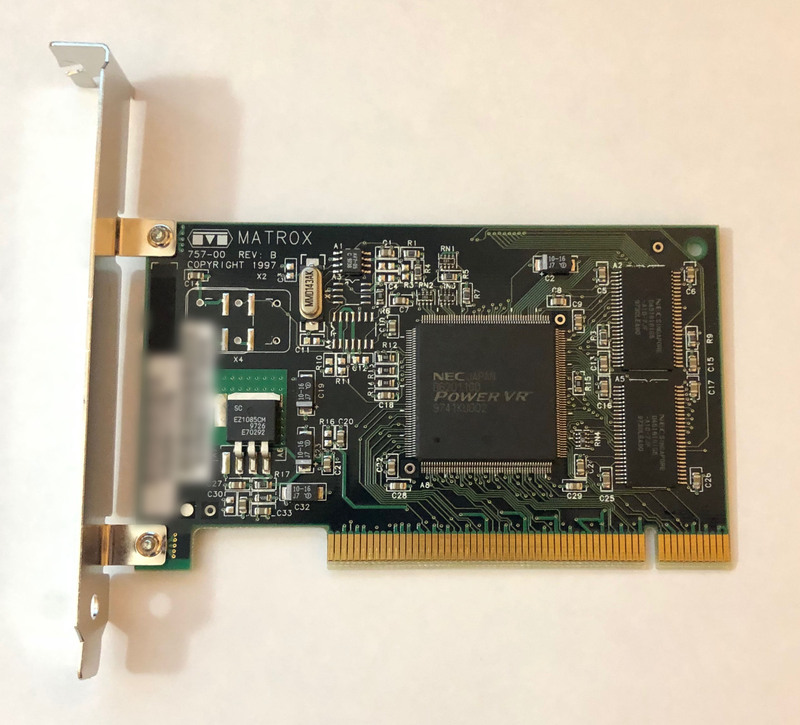 Windows Me seems to be causing problems with the m3D that weren't present in 98. 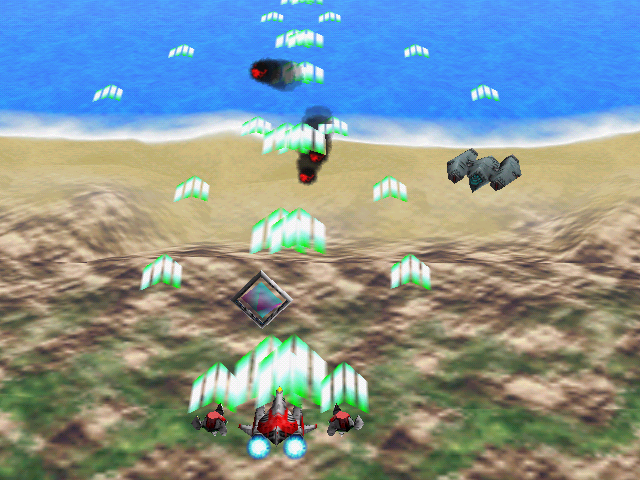 So, although 98 had problems, its problems seemed less severe and more manageable than what Me is doing currently. So I think I'm going to reinstall my other drive and either use the 98 installation on that, or reinstall 98 if that isn't working. That said, until I do that the PC is still useable; it's just that if I play a PowerSGL game, sometimes I have to restart the system in order to play something else. I think if I don't use the m3D at all then the problem won't occur. It's also possible that it's my HDD causing this issue - I've noticed it making weird squeaking noises. That doesn't explain why it only seems to affect the m3D, though. Regardless, I think going back to 98 is the best choice for right now, whenever I get around to doing that. GordonFreeman wrote: The m3D is definitely the bottleneck. I'd say it performs about average compared to what I've heard about it. Some games have a bit of slowdown, like Tomb Raider for example, but not too bad.